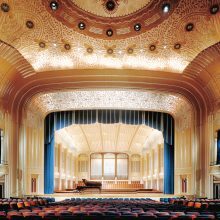 EverGreene’s experience over the last forty years on four hundred historic theaters gives us quite a perspective on how we think about design, preservation, conservation, art integration, ornament, finishes, in the built environment affects our everyday life in our communities. 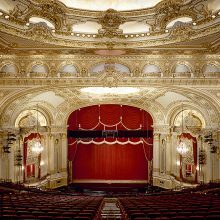 Theaters were the epicenter of culture for many American cities and towns. 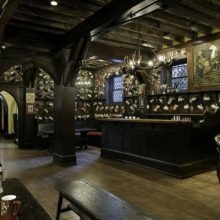 From Hamlet to Star Trek; Stravinsky to Gershwin we flock to theaters to be entertained by plays, movies, music and dance. 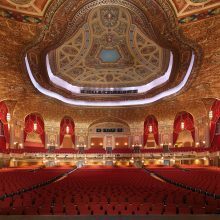 Theaters enrich us personally and they enrich our cities and towns. 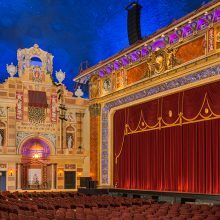 EverGreene has provided restoration work for historic theaters in communities large and small across the country, from Radio City Music Hall in New York City to the Grand Opera House in Meridian, MS and the Pantages Theater in Hollywood, CA. 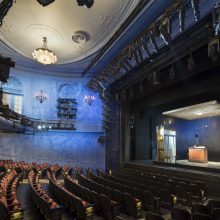 Often, the restoration of a theater is the foundation for urban revitalization and it is the craftsmen/women, artists, architects and consultants that work with so much passion to restore the theaters to their former glory. 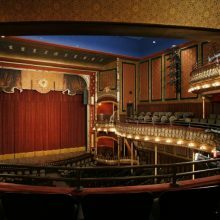 Founder Jeff Greene has served extensively on the board of the League of Historic American Theaters (LHAT), assisting in the establishment of services and networks to support theater preservation efforts, which in turn often spark extensive downtown revitalizations.